"Thomas of Lancaster" redirects here. For a brother of Henry V of England, see Thomas of Lancaster, 1st Duke of Clarence. Arms of Thomas, 2nd Earl of Lancaster: Gules, three lions passant guardant in pale or, armed and langued azure, overall a label of three points azure, each point charged with three Fleur-de-lis or. Thomas, Earl of Lancaster and Leicester (c. 1278 – 22 March 1322) was an English nobleman. A junior member of the House of Plantagenet, he was one of the leaders of the baronial opposition to his first cousin, Edward II of England. 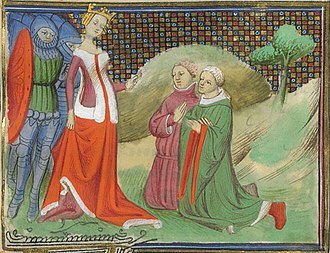 Thomas was the eldest son of Edmund Crouchback and Blanche of Artois, Queen Dowager of Navarre and niece of King Louis IX of France by her father Robert I Earl of Artois. Crouchback was the son of King Henry III of England. His marriage to Alice de Lacy was not successful. They had no children together, while he fathered, illegitimately, with another woman, two sons. In 1317 she was abducted from her manor at Canford, Dorset by Richard de St Martin, a knight in the service of John de Warenne, 7th Earl of Surrey. This incident caused a feud between Lancaster and Surrey; Lancaster divorced his wife and seized two of Surrey's castles in retaliation. King Edward then intervened, and the two Earls came to an uneasy truce. Although divorced from his wife, he continued to hold the powerful Earldoms of Lincoln and Salisbury. This was due to the marriage contract the two families had agreed; upon the death of his father-in-law, Thomas would hold these earldoms in his own right, not, as would be expected, in right of his wife. On reaching full age he became hereditary Sheriff of Lancashire, but spent most of the next ten years fighting for Edward I in Scotland, leaving the shrievalty in the care of deputies. He was present at the Battle of Falkirk in 1298 as part of Edward I's wing of the army. He served in the coronation of his cousin, King Edward II of England, on 25 February 1308, carrying Curtana, the sword of Edward the Confessor. 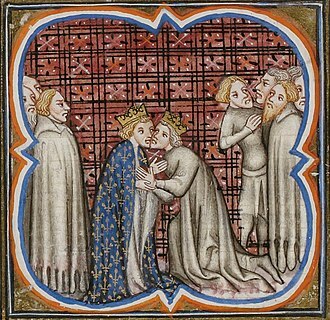 At the beginning of the King's reign, Lancaster openly supported Edward, but as the conflict between the king and the nobles wore on, Lancaster's allegiances changed. He despised the royal favourite, Piers Gaveston, who mocked him as "the Fiddler", and swore revenge when Gaveston demanded that the King dismiss one of Lancaster's retainers. Lancaster was one of the Lords Ordainers who demanded the banishment of Gaveston and the establishment of a baronial oligarchy. His private army helped separate the King and Gaveston, and Lancaster was one of the "judges" who convicted Gaveston and saw him executed. After the disaster at Bannockburn in 1314, Edward submitted to Lancaster, who in effect became ruler of England. He attempted to govern for the next four years, but was unable to keep order or prevent the Scots from raiding and retaking territory in the North. 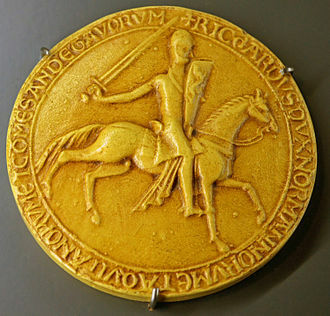 In 1318 his popularity with the barons declined and he was persuaded to "to accept a diminished authority." The new leadership, eventually headed by Hugh le Despenser, 1st Earl of Winchester and his son Hugh the younger Despenser, proved no more popular with the Baronage[vague], and in 1321 Lancaster was again at the head of a rebellion. This time he was defeated at the Battle of Boroughbridge on 16 March 1322, and taken prisoner. Lancaster was tried by a tribunal consisting of, among others, the two Despensers, Edmund FitzAlan, 9th Earl of Arundel, and King Edward. Lancaster was not allowed to speak in his own defence, nor was he allowed to have anyone to speak for him. He was convicted of treason and sentenced to death. Because of their kinship and Lancaster's royal blood, the King commuted the sentence to mere beheading (as opposed to being drawn, quartered, and beheaded) and Lancaster was executed near Pontefract Castle. 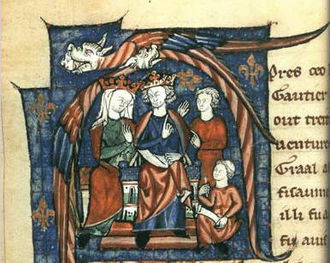 Upon his death his titles and estates were forfeited, but in 1323 his younger brother Henry successfully petitioned to take possession of the Earldom of Leicester, and in 1326 or 1327 Parliament posthumously reversed Thomas's conviction, and Henry was further permitted to take possession of the Earldoms of Lancaster, Derby, Salisbury and Lincoln. Soon after Thomas's death, miracles were reported at his tomb at Pontefract, and he became venerated as a martyr and saint. In 1327 the Commons petitioned Edward III to ask for his canonisation, and popular veneration continued until the reformation. In 1942 it was reported by E. J. Rudsdale that some of Thomas's bones had been found in a box at Paskell's auctioneers in Colchester, Essex, having been removed from Pontefract Castle in 1885. 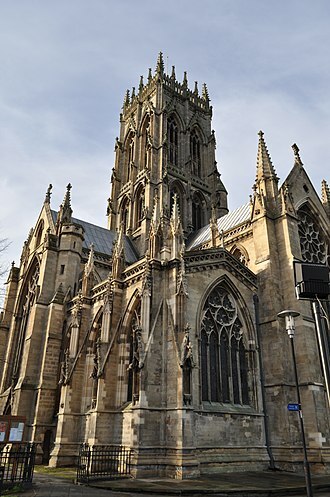 From his father Thomas inherited the Earldoms of Lancaster, Leicester, and a Ferrers earldom of Derby. 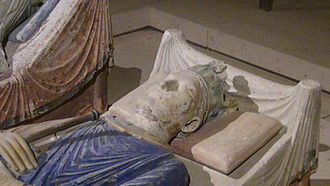 By his marriage to Alice de Lacy, Countess of Lincoln, daughter and heiress of Henry de Lacy, 3rd Earl of Lincoln, he became Earl of Lincoln, Earl of Salisbury, 11th Baron of Halton and 7th Lord of Bowland upon the death of his father-in-law in 1311. 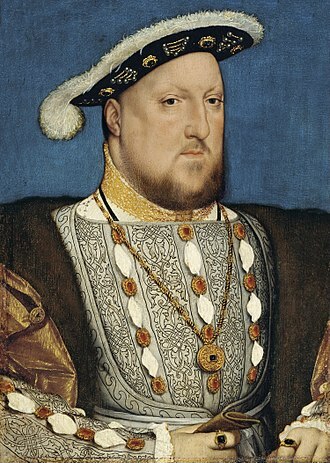 Master of five earldoms, he was one of the wealthiest and most powerful men in England. Thomas was in possession of many key fortresses, including Clitheroe Castle, particularly in northern England. He was responsible for the extension of Pontefract Castle and in 1313 he began the construction of Dunstanburgh Castle a massive fortress in Northumberland. Inherited from his father, Thomas bore the arms of the kingdom, differenced by a label France of three points (that is to say azure three fleur-de-lys or, each). ^ a b c Maddicott 2008. ^ Hamilton, J. S. "Gaveston, Piers, earl of Cornwall", Oxford Dictionary of National Biography, 3 January 2008. Retrieved 11 February 2019. ^ Watson 1895, pp. 30, 79, 141. Maddicott, J.R. (2008). "Thomas of Lancaster, second earl of Lancaster". Oxford Dictionary of National Biography (online). doi:10.1093/ref:odnb/27195. Watson, G.W. (1895). "The Seize Quartiers of the Kings and Queens of England". In H.W. Forsyth Harwood. The Genealogist. New Series. 11. Exeter: William Pollard & Co.
Given-Wilson, Chris (1994-06-01). "Richard II, Edward II, and the Lancastrian Inheritance". The English Historical Review. 109 (432): 553–571. doi:10.1093/ehr/CIX.432.553. JSTOR 572908. Pontefract is a historic market town in West Yorkshire, near the A1 and the M62 motorway. Pontefracts motto is Post mortem patris pro filio, Latin for After the death of the father, support the son, at the end of the 11th century, the modern township of Pontefract consisted of two distinct and separate localities known as Tanshelf and Kirkby. Such a crossing point would have been important in the early days. Historians believe that, in all probability, it is this event which gives the township of Pontefract its modern name. 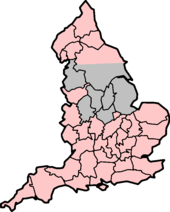 The name Pontefract originates from the Latin for broken bridge, formed of the elements pons, Pontefract was not recorded in the 1086 Domesday Book, but it was noted as Pontefracto in 1090, four years after the Domesday survey. 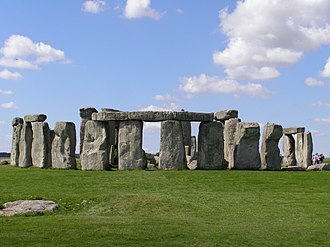 In 2007 a suspected extension of Ferrybridge Henge – a Neolithic henge – was discovered near Pontefract during a survey in preparation for the construction of a row of houses, once the survey was complete, the construction continued. The modern town is situated on an old Roman road, described as the Roman Ridge, the period of Yorkshires history between the demise of the Viking king Eric Bloodaxe in 954 and the arrival of the Normans in 1068 is known as the Anglo-Scandinavian age. The modern township of Pontefract consisted of two Anglo-Scandinavian settlements, known as Tanshelf and Kirkby, in Yorkshire, place-name locations often contain the distinctive Danish -by i. e. Kirkby. And even today, the streets in Pontefract are designated by the Danish word gate e. g. Bailygate. The Anglo-Saxon Chronicle makes its first reference to Tanshelf in the year 947 when King Eadred of England met with the council of Northumbria to accept its submission. 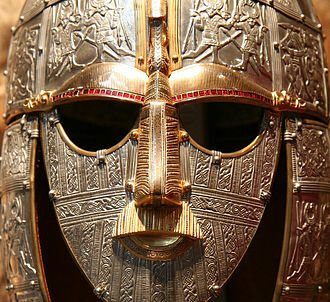 King Eadred did not enjoy Northumbrias support for long, and a year the kingdom voted Eric Bloodaxe King of York, when the Doomsday Book was commissioned by William the Conqueror in 1086 Tanshelf was still a sizeable settlement for the period. The town had a priest,60 petty burgesses,16 cottagers,16 villagers and 8 smallholders, Tanshelf had a church, a fishery and three mills. Archaeologists have discovered the remains of the church on The Booths in Pontefract, off North Baileygate, the oldest grave dates from around 690. The church is likely to be at Tanshelf and may have similar to the church at Ledsham. The Despenser War was a baronial revolt against Edward II of England led by the Marcher Lords Roger Mortimer and Humphrey de Bohun. 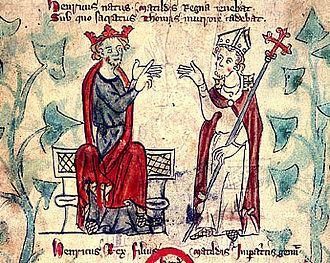 The rebellion was fuelled by opposition to Hugh Despenser the Younger, Edwards response to victory was his increasingly harsh rule until his fall from power in 1326. The initial success of the reflected the power of the Marcher Lords. 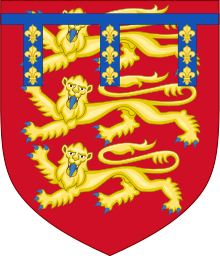 The death of the last Earl of Gloucester meant the redistribution of his vast estates and lordships in Ireland, the important Lordship of Glamorgan passed to the late earls brother-in-law, the younger Despenser, married to his eldest sister Eleanor. Roger Mortimer, his uncle, Roger Mortimer de Chirk, and Humphrey de Bohun, the younger Despenser, through his marriage with Eleanor, received many expensive gifts, and much property and land grants in the Marches. 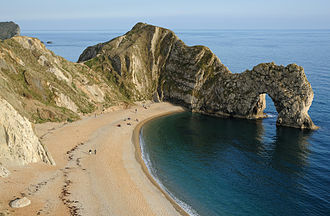 The passage of Glamorgan to Despenser in its entirety angered his brothers-in-law, Roger dAmory and Hugh de Audley, hostility deepened among the Marcher Lords when Despenser titled himself Lord of Glamorgan and Earl of Gloucester. 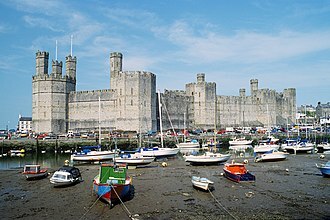 In February 1321 Mortimer and Lancaster agreed on an attack on the Despenser lands in Wales, Edward responded in March by mobilising his forces in Wales, demonstrating that he intended to make any attack on the Despensers an attack on the crown, and therefore treasonable. The king travelled to Gloucester and called upon the Marcher Lords to join him there, mobilising more forces, Edward marched on to Bristol, and repeated his call for the Marcher Lords to convene with him there in May. 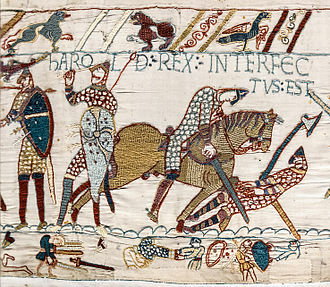 Mortimer and Hereford promptly began their attack on the Despenser lands, newport and Caerphilly were seized by Mortimer in an intense eight-day campaign. Mortimer and Hereford set about pillaging Glamorgan and Gloucestershire, before marching north to join Lancaster at Pontefract, the barons swore an alliance at Sherburn-in-Elmet in June, naming their faction the contrariants and promising to remove the Despensers for good. Edward had returned to London, where he held his own parliament to discuss courses of action, Mortimer led his army east towards London as well, reaching St Albans in late July. A favourite or favorite was the intimate companion of a ruler or other important person. 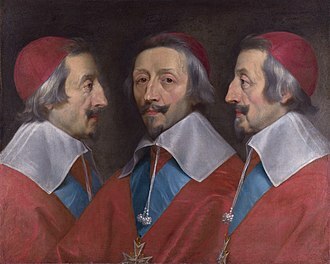 In medieval and Early Modern Europe, among other times and places, from 1600 to 1660 there were particular successions of all-powerful minister-favourites in much of Europe, especially in Spain, England and Sweden. The term is sometimes employed by writers who want to avoid terms such as royal mistress, or friend. Too close a relationship between monarch and favourite was seen as a breach of the order and hierarchy of society. Since many favourites had flamboyant over-reaching personalities, they led the way to their own downfall with their rash behaviour. As the opinions of the gentry and bourgeoisie grew in importance, dislike from all classes could be especially intense in the case of favourites who were elevated from humble, or at least minor, backgrounds by royal favour. Titles and estates were usually given lavishly to favourites, who were compared to mushrooms because they sprang up suddenly overnight, the Kings favourite Piers Gaveston is a night-grown mushrump to his enemies in Christopher Marlowes Edward II. Their falls could be even more sudden, but after about 1650, favourites who came from the higher nobility, such as Leicester, Lerma and Oxenstierna, were often less resented and lasted longer. Oxenstierna and William Cecil, who died in office, successfully trained their sons to succeed them. 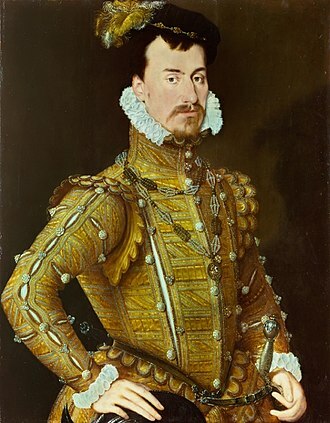 Elizabeth I had Cecil as Secretary of State and Lord High Treasurer from the time she ascended the throne in 1558 until his death 40 years later. She had more colourful relationships with several courtiers, the most lasting and intimate one was with Robert Dudley, Earl of Leicester, who was a leading politician. Only in her last decade was the position of the Cecils and son, challenged by Robert Devereux, 2nd Earl of Essex, Cardinal Wolsey was one figure who rose through the administrative hierarchy, but lived extremely ostentatiously, before falling suddenly from power. Cardinal Granvelle, like his father, was a trusted Habsburg minister who lived grandly and it has been claimed that le Daims career was the origin of the term, as favori first appeared around the time of his death in 1484. The Battle of Falkirk, which took place on 22 July 1298, was one of the major battles in the First War of Scottish Independence. Led by King Edward I of England, the English army defeated the Scots, shortly after the battle Wallace resigned as Guardian of Scotland. King Edward learned of the defeat of his army at the Battle of Stirling Bridge. As a preliminary step he moved the centre of government to York, a council-of-war was held in the city in April to finalise the details of the invasion. The Scottish magnates were all summoned to attend, and when none appeared they were all declared to be traitors, Edward ordered his army to assemble at Roxburgh on 25 June. Edwards own supply fleet was delayed by bad weather, and when the army reached central Scotland it was tired and hungry. 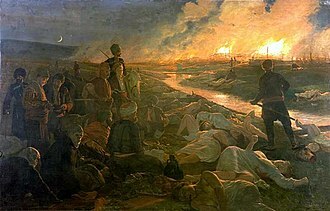 The Welsh infantry in particular were badly demoralised, while the army was encamped at Temple Liston, near Edinburgh, they erupted in a drunken riot that was broken up by the English cavalry, who killed 80 Welshmen. Edward faced the prospect of the kind of retreat that became a regular feature of his sons campaigns in the succeeding reign. Edward was delighted, As God lives and they need not pursue me, for I will meet them this day. The Scots army, again made up chiefly of spearmen as at Stirling, was arranged in four great armoured hedgehogs known as schiltrons, the long spears pointed outwards at various heights gave these formations a formidable and impenetrable appearance. The gaps between the schiltrons were filled with archers and to the rear there was a troop of men-at-arms, provided by the Comyns. On Tuesday 22 July, the English cavalry, divided into four battalions, the left was commanded by the Earls of Norfolk and Lincoln. The right was under the command of Antony Bek, Bishop of Durham, while the King commanded the centre, in a disorganised pell-mell the cavalry finally closed on the Scots, on the right and left. The party of men-at-arms under John Comyn left the field immediately, the Scots bowmen commanded by Sir John Stewart of Bonkill, the younger brother of the High Steward of Scotland, stood their ground and were quickly destroyed. The new church within the old. After All Saints' church was damaged during the civil war a new one was built within. Barracks Business Centre, Wakefield Road. 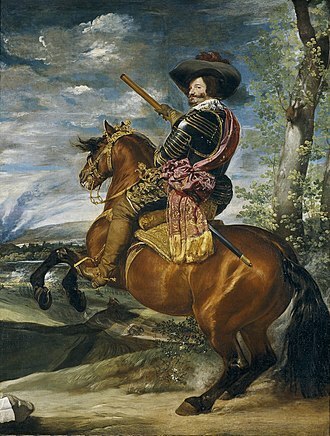 Equestrian portrait of the Count-Duke of Olivares by Diego Velázquez. The Duke of Albemarle was given the castle by Charles II in 1660. An 1872 painting by English artist Marcus Stone shows Edward II cavorting with Gaveston while nobles and courtiers look on with concern. Manuscript illustration of Thomas of Lancaster with Saint George. 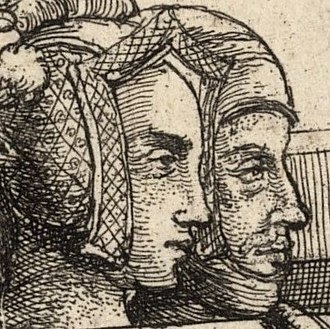 Arundel and Hugh Despenser the Elder before Queen Isabella. From Froissart's Chronicles.